Getting a full size candy bar was like the best thing ever when I was a kid. 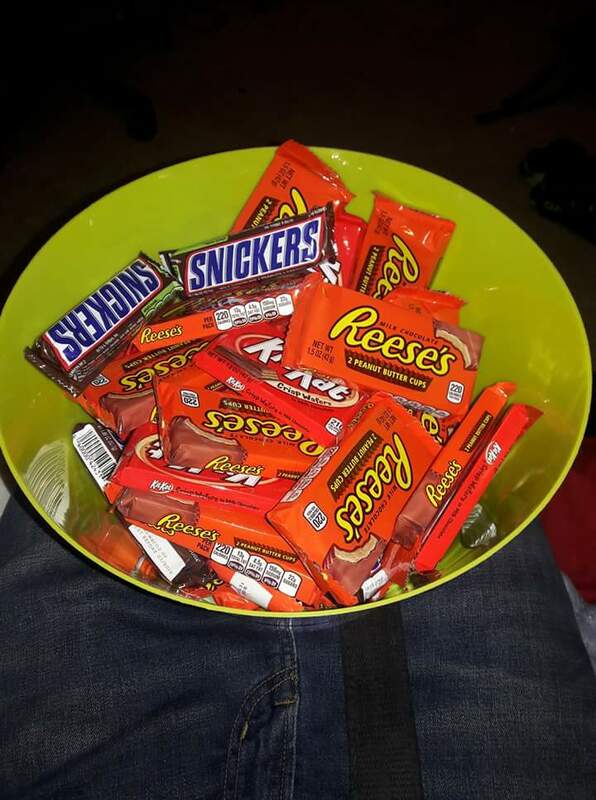 I think that is why my brother wanted to be the coolest Halloween spot and take it to the next level with full size bars. But the weather was so nasty and cold no one stopped by. Poor guy I felt so bad for him. He waited for hours in the cold to try to make sure some kids had an awesome Halloween and it never happened. I wish I had a way to have gotten out the message for full size bars but on the plus side we still have plenty of candy for us to eat. We didn’t have any kids either and we dressed up and had candy and everything! It was sad. 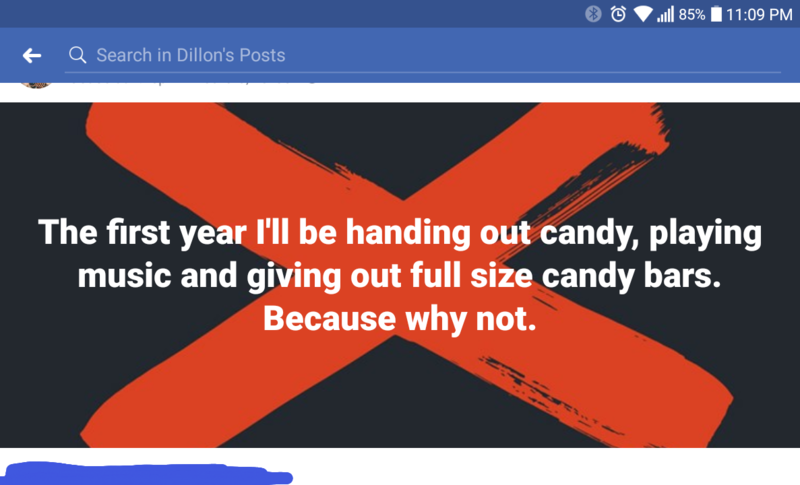 But we didn’t have the full size bars like you did!